Doriataenopsis Sogo Gotris is a very compact growing phalaenopsis hybrid that produces several short statured flowering spikes with miniature blooms. These types are phalaenopsis orchids are generally known as multiflorals and make great houseplants. Some growers market them as ‘sweetheart’ type phalaenopsis. No matter what you call them, these charming hybrid have been developed for small spaces and will thrive on a bright windowsill or under lights. A plant in a 3.5″ inch pot, as shown to the left, can easy produce one or two spikes with 15 or more flowers in less space than an African violet! Some multifloral phalenopsis can actually get quite large as plants, but many, depending on the parentage, will remain on the more compact side. Chances are, they will never outgrow a 5 inch pot and if you can get them that big, you should have a specimen plants capable of producing multiple spikes covered in blooms for a good part of the year. This particular plants consists of two growths which are joined like Siamese twins. This is fairly typical of some species, such as phalaenopsis equestris, that is used in this kind of breeding. Eventually, you can get several growths in a pot each producing one or two spikes resulting in a cloud of blooms. This particular hybrid bring art shade colors into genre that has been dominated by white with red lips, or dark pink flowers. The flowers, also tend to be very long-lasting and the plants will be in bloom for months! 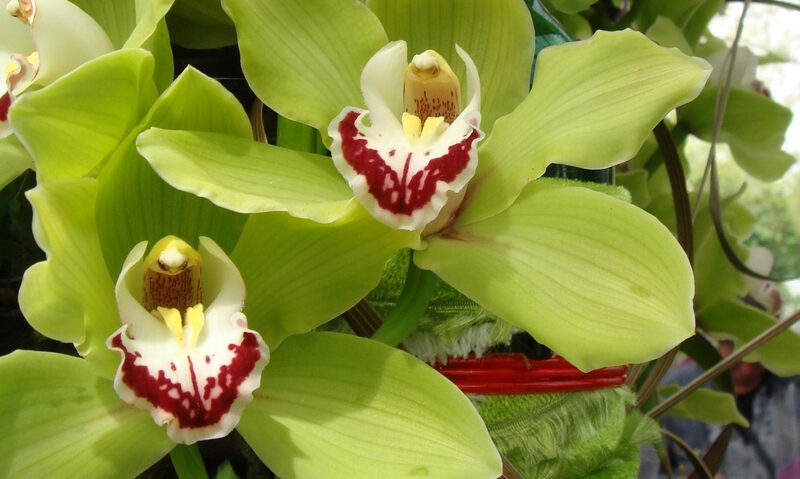 These orchids are quite robust and do not need special care making them good houseplants. Since they tend to need smaller pots, the only thing you have to be especially careful about is that they do not dry out during warmer weather. They tend to produce their flowering spikes in the fall bringing much needed color during the cooler winter and early spring months.